Don't you wish that your hometown had a Drake? Toronto, Canada – Drake's hometown of Toronto has come to expect a certain level of surprise when The 6's proudest son takes to the stage of the annual OVO Fest. The Monday night (August 7) show at the Budweiser Stage brought enough ammo to be considered on par with previous years. 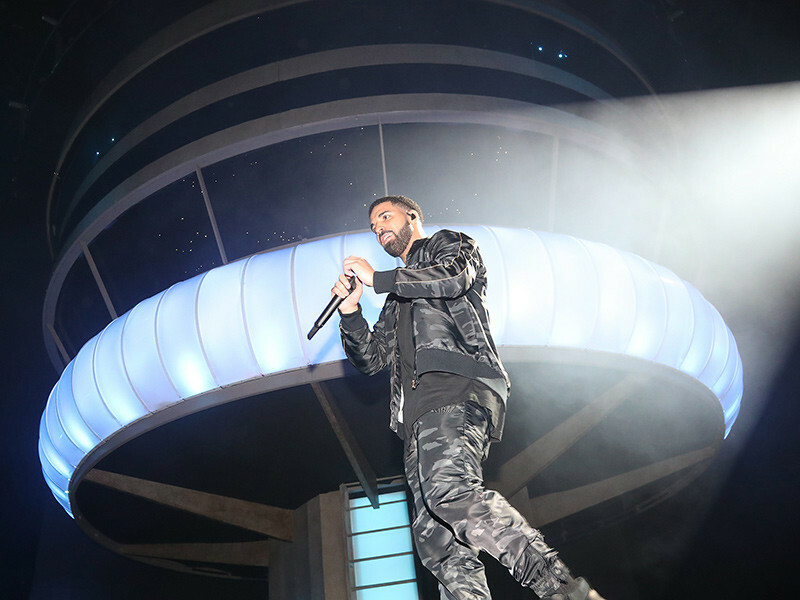 After sets from the scheduled time of the acts of PARTYNEXTDOOR, Majid Jordan, Roy Woods and dvsn — things started to get crazy, with Drizzy pulling the big names of the left, right and centre to give the crowd their money's worth. Drake made sure to show love to his fellow Canadian Hip Hop and R&B artists, carrying out Tory Lanez to perform his remix of "Controlla" in an act that buries the hatchet between them, and The Weeknd to sing the intro of "Crew Love" with Drake himself. Drake also managed to introduce Lanez in the most Drake way possible — "See this man here? We have had problems with each other. We had never known each other. I met with the man ... and he is a great friend." The power of the stars from the rest of the guests could have lit the entire city of Toronto — Migos appeared and performed "Bad and Boujee" and "T-Shirt", while the Rae Sremmurd & French Montana showed to play "Unforgettable." Playboi Carti was also on hand to perform "Magnolia" and "wokeuplikethis*." Female rapper Cardi B it was through his immensely popular "Bodak Yellow" and Drake's former tourmate Travis Scott performed "Portland" with the man of the hour (Scott managed to avoid falling off stage this time, fortunately). Perhaps most surprising was the appearance of St. Louis legend Nelly, that is positively old-school in these days in comparison with all the others in the bill. But that doesn't mean that the crowd doesn't go crazy when he played on the "Country Grammar" and "Ride Wit Me." Recent OVO signee Baka helped to end the night with their Toronto anthem "Live My Name."